This month, read about the most important updates on St. Yves work and its latest advocacy activities, as well as a general update on the situation in the Occupied Palestinian Territories. 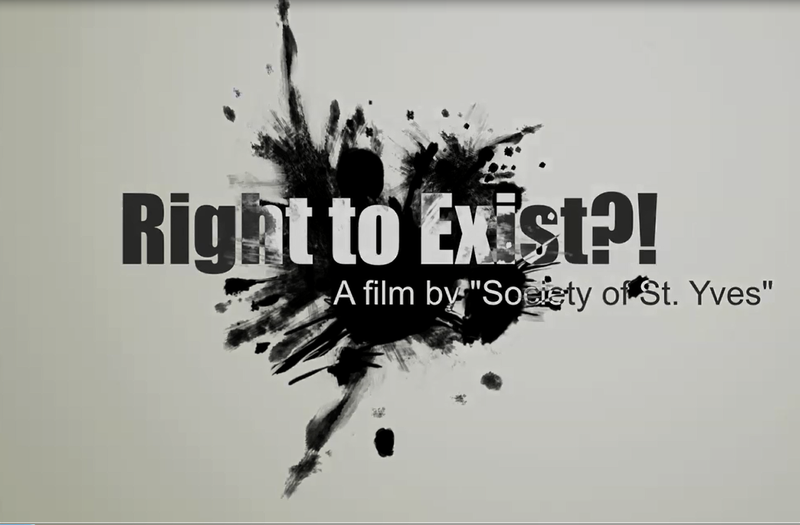 The short movie “Right to Exist? !” reflects the issue of Residency in Jerusalem and the struggle of Jerusalemites in particular those married to Palestinian ID holders due to multiple Israeli policies resulting in the displacement and separation of Palestinian families. The Society of St. Yves organised a field visit and a briefing to witness the changes that took place in Cremisan and Beir Ona' these past months, for a high ranking delegation of Catholic and Protestant Bishops headed by Cardinal Marks, chairman of the German bishops conference as well as bishop Betford Strom, chairman of the council of protestant church in Germany. 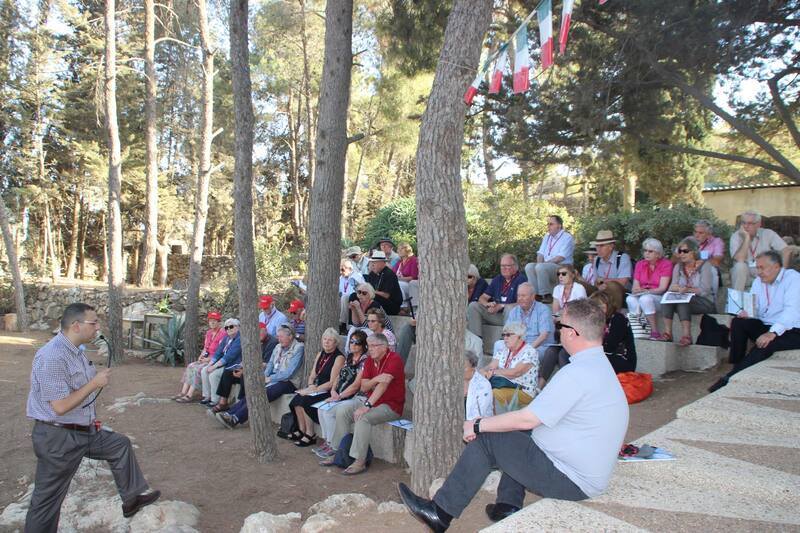 The Society of St. Yves briefed a group of the Knights of the Holy Sepulchere - England on the latest developments in the Cremisan case. 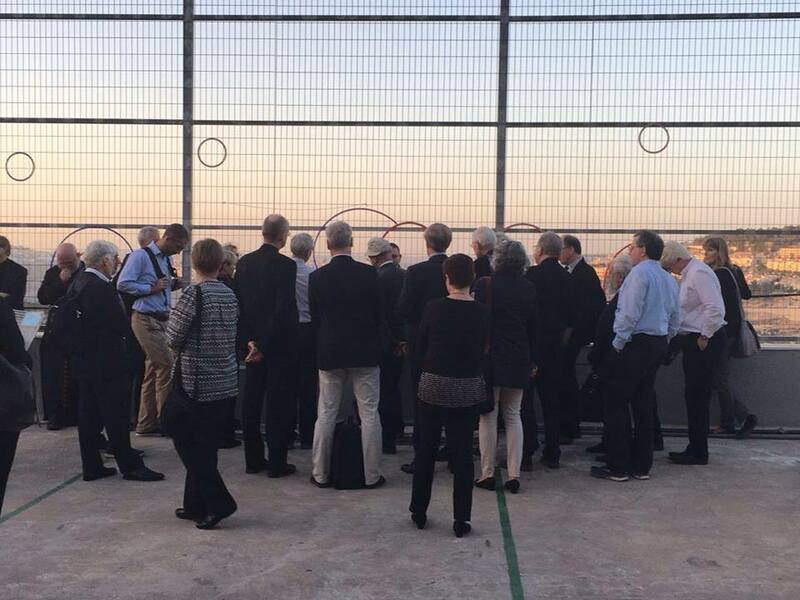 the group visited Beir Onah to witness the constructed wall and listened to the testimonies of Fr. Aktham Hijazin, the Parish priest of Beit Jala, as well as the landowners. 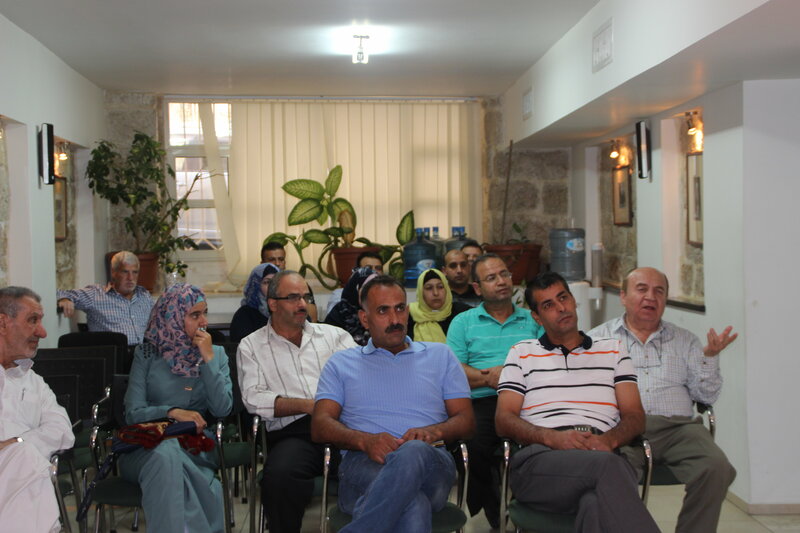 The Society of St. Yves – Catholic Center for Human Rights continues holding raising awareness sessions throughout Jerusalem and the West Bank.This month St. Yves focused on the issue of house demolitions and the issue of national insurance for the holders of family unification permits as it is a matter that concerns a wide number of Palestinians and it is currently undergoing new discriminatory procedures. St. Yves is legally following this case and is expecting a response from the court by the end of November. 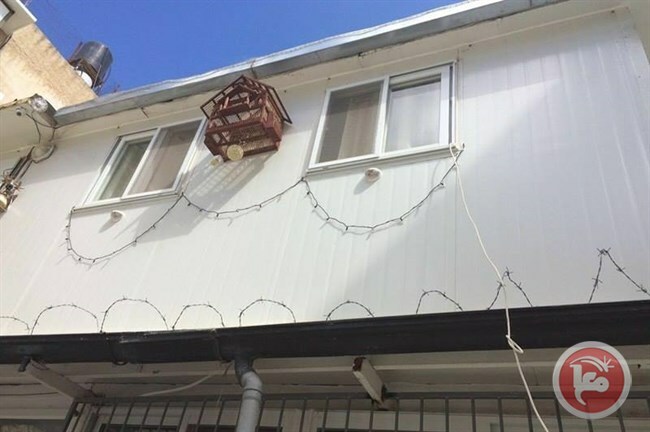 A Palestinian family was forced to demolish parts of their own home in the al-Saadiya neighborhood of occupied East Jerusalem’s Old City on Monday, following an order from the Jerusalem municipality saying the rooms were built without the required Israeli-issued licenses. 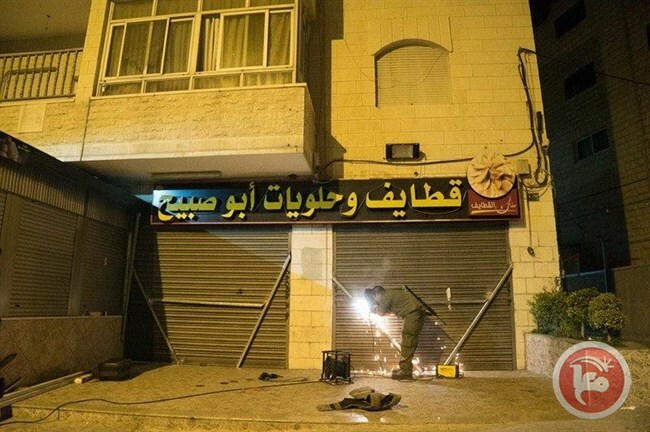 Israeli forces raided a building in the town of al-Ram in the occupied West Bank district of Jerusalem belonging to the family of a slain Palestinian attacker, amidst an ongoing crackdown on the gunman’s family, town, and surrounding neighborhoods, according to witnesses and Israeli authorities. 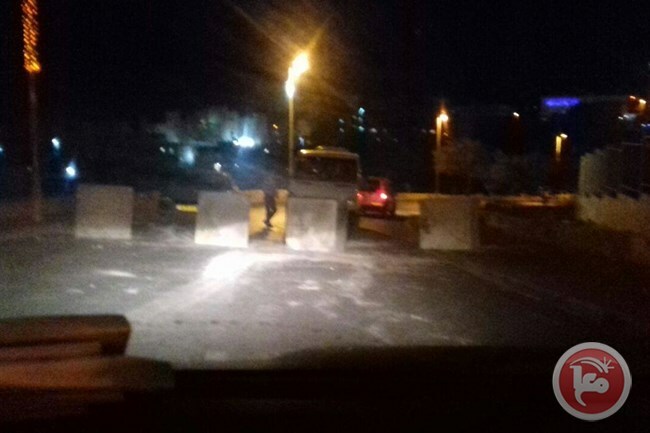 Israeli forces closed the main entrance of occupied East Jerusalem neighborhood of Issawiya on Wednesday evening, and detained five Palestinians.Local follow-up committee member Muhammad Abu al-Hummus said that Israeli soldiers closed the main entrance of the village with cement blocks, claiming that residents were throwing Molotov cocktails.